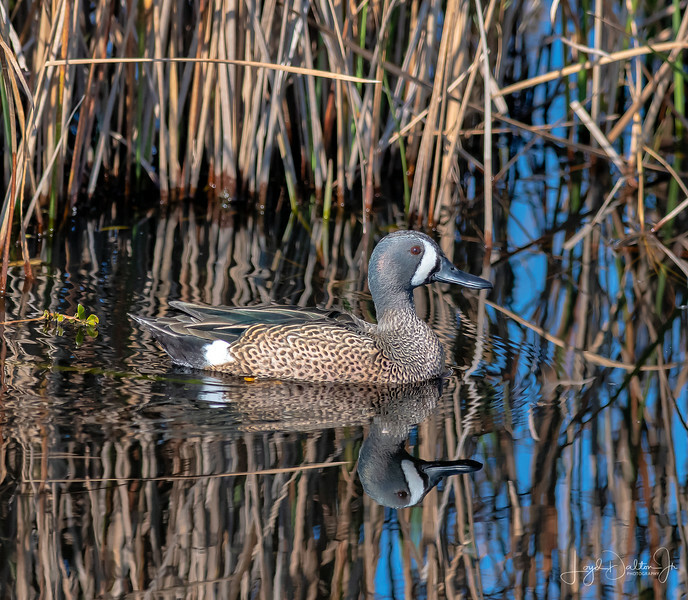 The most abundant duck in the Gulf Coast of Texas every winter has to be the Blue-winged Teal. They show up early and leave late! Almost every pot hole, tank, pond and bar ditch that holds enough water to land in most likely with hold this species of Teal. When breeding time comes around, the drakes' colors enhance and because of their sheer numbers, we have abundant opportunities to photograph them. INCREDIBLE clarity and detail...fabulous reflections; one of your VERY BEST!!!!! We get BW Teal here along the coast, but certainly not in abundance. This is a wonderful shot of the male, with a perfect reflection. Wonderful composition with such sharp detail! Amazing reflections! This is a fabulous shot Loyd. WOW! Lucky you. We rarely see them around here. Beautiful capture. Beautiful catch... love the reflections, such a handsome fella. Wonderful shot. The reflection looks like a mirror.